Choosing poly tarps over others may seem like the most cost effective choice, but it is very important to match the material to the purpose of the job. For example, you would not typically use a screw driver to hammer a nail into a piece of wood. So it stands to reason that you would put the same kind of thought into it when choosing which tarpaulin to use. 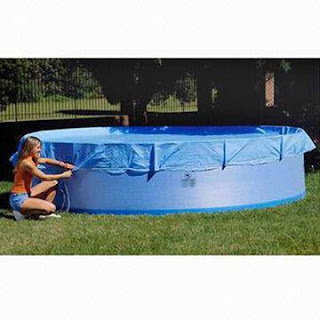 The poly tarps are typically used to protect things from the elements, dust, moisture, debris and things of the like. They really do have a greater range of use though, and have been used for things such as projection screens, slides, advertising, crowd control and a whole lot more. If you are looking for something for short term outdoor use, polyethylene may be the most cost effective and adequate choice. If your usage is the same but for long term use, it may be a good idea to consider a more durable material such as vinyl or canvas tarps. The mesh tarpaulins may also be a option to consider as well. The poly tarps are often used during the rainy season to protect outdoor wares or temporary protection. However, the elements can ware them down over a matter of weeks or less if it is on the severe side. Matching the material to the job is probably a safe bet. Other types of poly tarps can run you a bit more money. So if cost is a big issue whether it is short term or for a longer bit of use, it certainly will save you money, but may need to be replaced a lot sooner than a more durable type of material. Choosing poly tarps over others can be cost effective if you find yourself in a bind and need a quick fix until that leaky roof can be repaired, or need to cover the pile of wood out back until the storms pass. The poly tarp looks good. Is this a round tarp? Tarps, All You Need To Know About Them. A Canvas Tarp, A Strong And Useful Product.